During your lunch break, hop on board the KC Streetcar where internationally-acclaimed artist Michael McQuary will wow riders with his, “Your Essence in Seconds,” from 11:30 a.m. to 1:30 p.m. Get your original and unique sketch - a rapid portrait of YOU! Make sure to tag any pictures with #youressenceinseconds. Stop off at The Polished Edge to sip champagne while you shop their Kir Collection Trunk Show. There will be a drawing for “KC” themed jewelry and live music by Destination. After work, grab a lawn chair and head over to the City Market for a FREE dinner and concert. Rock on from 5:30 p.m. - 7:30 p.m. with Kansas City’s premier 90’s party band, Thunder Jacket. Keep the party going all night long at The Garment House, a multi-level entertainment district in historic Quality Hill. Four floors featuring four different vibes. On the first floor, 2-step to a live band and transition into late night DJ’s. Moving up to Broadway Bistro on the second floor, experience visual artists and singer-songwriters in spoken word. The third floor, Broadway Arcade, will have an open deck DJ extravaganza and arcade play. Last but not least, The 10 Spot will host local hip-hop artists, alternative, and fashion events. Get your ticket ahead of time for only $5 on Eventbrite. 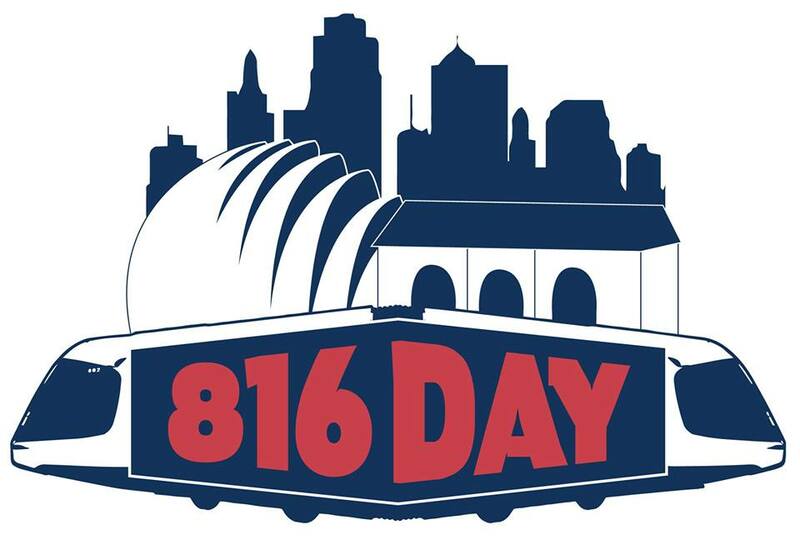 Before you head out - don’t forget to check do816.com/816-day for additional events. Brought to you by: Downtown Neighborhood Association, KC Streetcar, Downtown Council of Kansas City, City Market, Kansas City Power & Light, Crossroads Community Association, John's Big Deck, & Do816!